The Beat 2013 was held at Sheffield’s prestigious Birkdale School in the Heeley Hall building. The choice of venue was a little different this year but Toni has taught drums for many years at Birkdale School and this seemed to be the obvious choice for an afternoon of drumming with a relaxed atmosphere in the leafy suburb of Broomhill in Sheffield. Toni started the afternoon with a drum clinic showing how to incorporate drum rudiments and world rhythms into your playing. Pete Ray Biggin was given a very warm welcome from his hometown of Sheffield. Pete is highly sought after drummer and he had been performing in Madrid the night before and came straight from the airport to deliver an incredible drum solo for his introduction. His first set included advice on the importance of playing with a click track and he demonstrated this and his great groove to a rendition of “Sons and Daughters “ by level 42. Pete’s second set concentrated on more simple grooves and pocket playing. The audience also had the pleasure of hearing a preview of some tracks from Pete’s own band - PB Underground. The afternoon was a huge success and the audience went home feeling totally inspired! for supporting Beat 2013 and making this all possible. Drummers came from the length and breadth of the country and headed down to the Hubs in Sheffield, to the aptly named building locally known as ‘the silver drums’. Toni Cannelli welcomed everyone to the Drummers Alliance 23rd annual ‘Beat’ event and then gave an interesting half hour demonstration on World Rhythms and how to incorporate these ideas into your warm up practice. 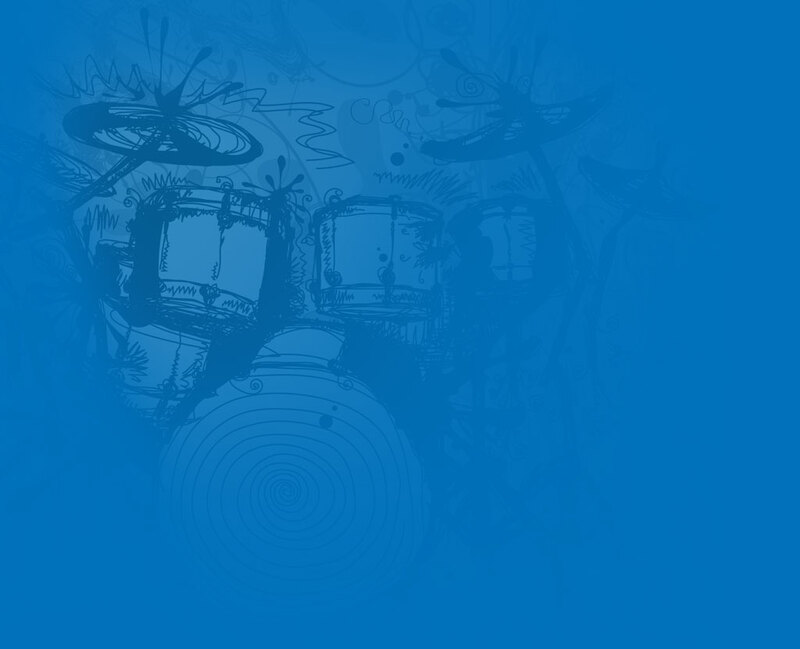 The ten finalists came from all over the UK to perform at the prestigious Beat 2010 young drummer competition final. The standard of playing was exceptionally high but Selim Munir impressed the judges by far with his stunning technique and natural groove. In association with Hardcase we were delighted to welcome Gavin Harrison as one of our special guest drummers. He captured the audience with his two forty-minute sets during the afternoon, which covered how he wrote the drum parts on some of the Porcupine Tree tracks, gave some straight talking advice about being a professional drummer interspersed with demonstrations that made a lasting impression on the audience. Sheffield born Danny Cummngs received a very warm welcome from the audience in his hometown. This was a rare opportunity to hear Danny perform in a ‘clinic’ situation and talk about his highly successful career. He delighted the audience with his conga playing and percussion interspersed with vocals and his wealth of knowledge - it’s plain to see why he is one of the most in demand percussionists in the music industry. Selim Munir age 17yrs from Bishops Stortford in Hertfordshire. He walked away with a full set of Dream Cymbals and a Hardcase cymbal case to protect them. Above, left to right: David Eyre, Danny Cummings, Selim Munir, Gavin Harrison, Toni Cannelli and Darran Bramley. Drummers came from all over the UK to the stunning silver drums of the Hallam Union Building, Sheffield known as the HUBS. Kassa! The African Drum Extravaganza opened the Beat 2009 with a fantastic performance of rhythm and dance. Organiser Toni Cannelli introduced the Beat 2009 and captured the audience with an excellent talk and demonstration on how to get the gigs in his usual relaxed style and straight talking approach to drumming. 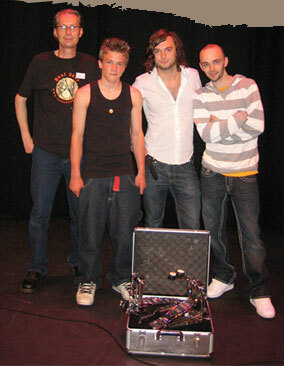 The final of the Beat 2009 young drummer competition showcased the ten finalists from all over the UK. The young drummers were of an excellent standard and they all performed very original solos. Mark Heaney, one of London’s top session players gave a spellbinding demonstration and he also played some of his own arrangements from his best selling CD ‘Drum Room’. Mark is without a doubt one of the most naturally gifted players this country has ever produced. Next up was the dynamic Jason Bowld who is best known for his rock drumming but he is without a doubt an extremely versatile drummer and left the audience in awe after his breathtaking performance. At some of the more recent ‘Beat’ events we have exposed drum kit players to different areas of percussion and this year we chose African rhythms. There was the opportunity to jam with others throughout the afternoon in drum circles led by Steve Rivers from Unbeatable Energy. His exhilarating drum circles demonstrated the power of dynamic drumming to generate creativity, excitement and energy in people. The HUBS became a shopper’s paradise for the afternoon where drummers had the opportunity to buy and try out all the latest equipment by visiting the many trade/ exhibition stands. The highlight of the afternoon was ‘The Drum Battle’ with Mark Heaney and Jason Bowld which mesmerised the crowd and both drummers demonstrated their incredible technique and professionalism in this amazing drum battle. We are proud to announce the winner of the Beat 2009 young drummer competition is Charlie Vasiliou aged 12 years from Darlington who performed an excellent solo - he was the youngest competitor in the Beat 2009 final. He walked away with a bespoke snare drum kindly donated by Guru Drumworks. Hundreds of drummers descended on the Sheffield Carling Academy for the Beat 2008 on Sunday 19th October to celebrate 21 years of Drummers Alliance with Toni Cannelli. 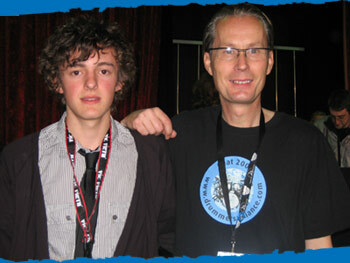 The prestigious Beat 2008 young drummer competition attracted entries from over the UK. This year we had just one age category (under 17yrs) and the standard of playing was truly outstanding to say the least. In association with Hardcase, Eric Ward and the Scottish Pipe Drummers gave an entertaining performance and a breathtaking demonstration of rudimentary skills giving a fascinating insight into the world of pipe drumming. We are proud to announce the Beat 2008 winner is Grant Kershaw aged 16yrs from Manchester who performed a highly original solo with plenty of groove, feel and technique. He walked away with a full set of APX cymbals kindly donated by Sabian. The Beat 2007 was an afternoon to remember with drummers coming from all over the U.K. to the world famous Crucible Theatre in Sheffield. The Concord drum and bugle corps spectacular performance opened Toni Cannelli’s event, celebrating 20 years of Drummers Alliance. The Beat 2007 young drummer competition showcased 25 finalists who were chosen from over 300 entries. The competition attracted the very best undiscovered drummers from all over the U.K. who all demonstrated an exceptionally high standard of playing. The Beat 2007 winner of the 13-17yrs category is 15 year old Josh Devine from Market Harborough in Leicestershire. 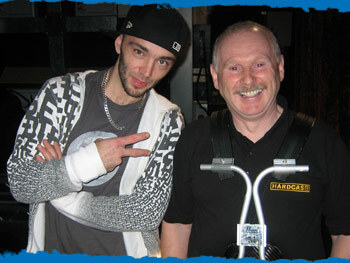 Leo Crabtree from Tama presented the amazing first prize – an Iron Cobra pedal. The Beat 2007winner of the 8-12yrs category is 10 year old Nathanael Marrett from Sheffield who won the fantastic set of Sabian AAX cymbals. Our special guest Pete Ray Biggin, the winner of the Beat 1993 competition is a true inspiration to all the young drummers out there.  He is now one of the UK’s top session drummers and playing with famous artists like Amy Winehouse and Mark Ronson. Pete finished the afternoon with a stunning solo and demonstration including an informative talk on using a click track. Pete’s playing is truly awesome and the audience went home truly motivated.